I'm slowly but surely combing through my Halloween bins (yes that's plural- I may be a holiday decoration hoarder) and getting my house spiffed up in it's spooky day finest. I'm not at all into scary stuff because I am such a wimp. So I LOVE the cutesy things. 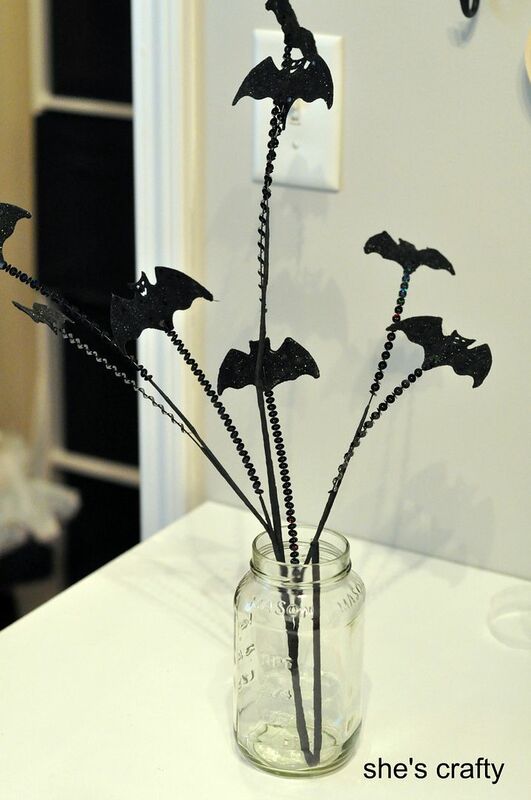 I think this bat stem in a jar of candy corns qualifies as super cute!! 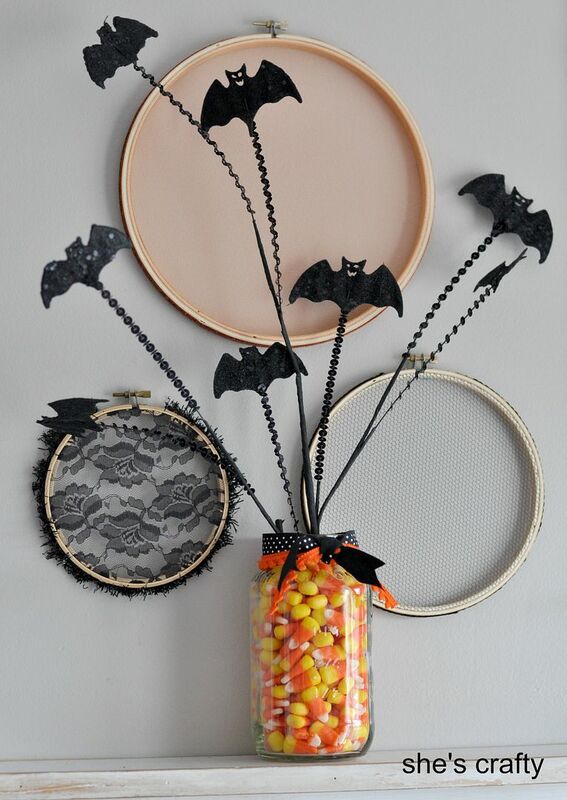 When Michaels first put out their Halloween decor and crafts a few months ago, it was blistering hot here. We were still swimming and drinking lemonade and I was so not in the mood to think about the fall season yet. 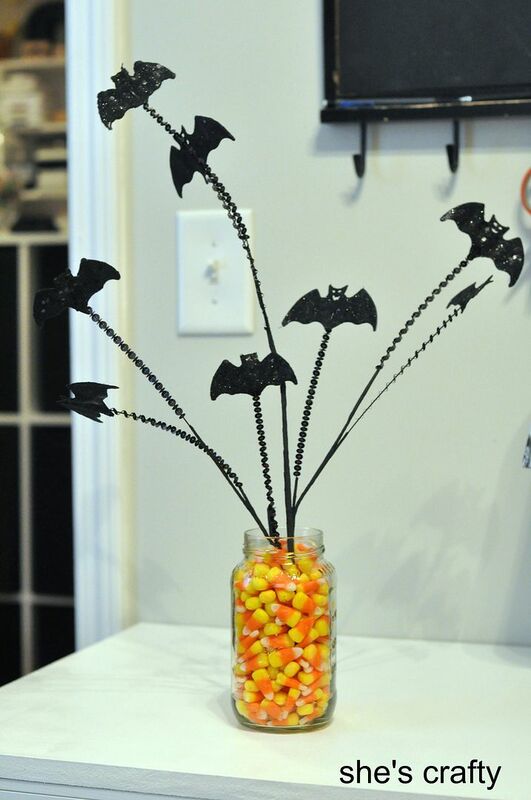 But I knew if I didn't grab the bat stem then, I would eventually want it and it would be gone when fall got here. 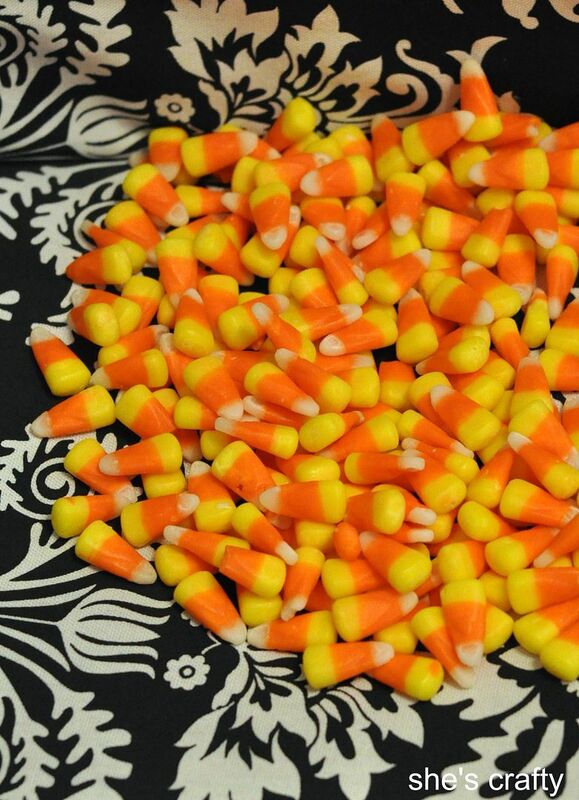 So I snatched it up, put it away and didn't think about it until last week when I pulled out my Halloween stash. 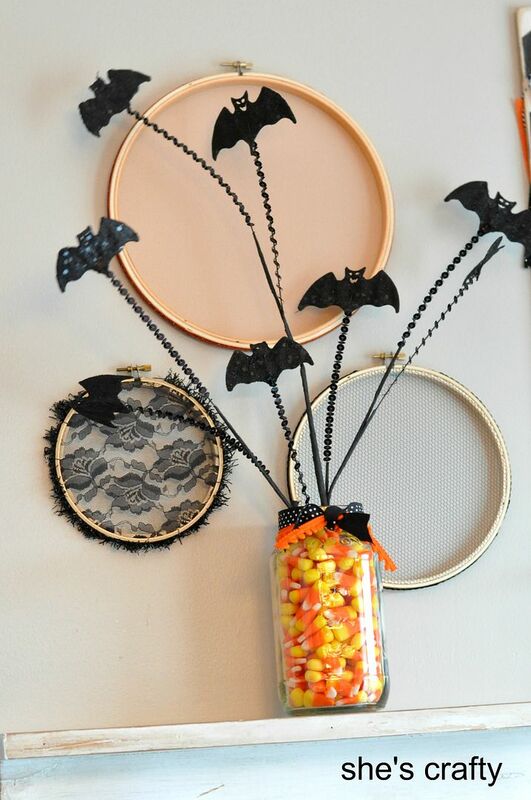 I wanted to showcase the bouncy bats, so I folded the stem and put it into an old spaghetti sauce jar. 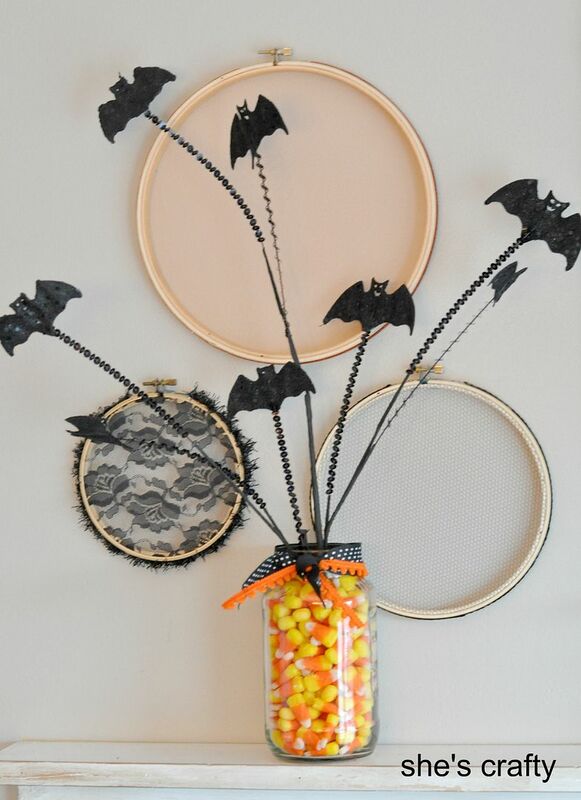 Then I filled the jar with candy corns to stabilize the stem. 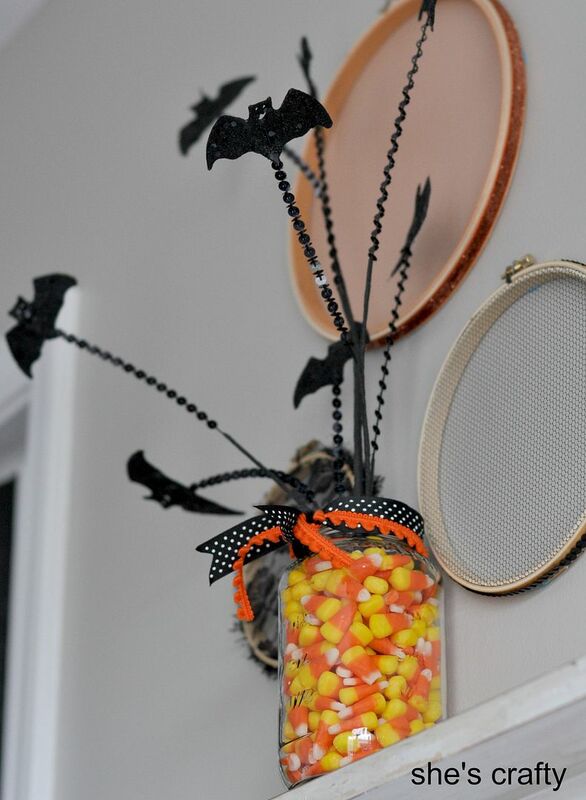 I added some small orange pom pom trim and black polka-dot ribbon around the neck of the jar. 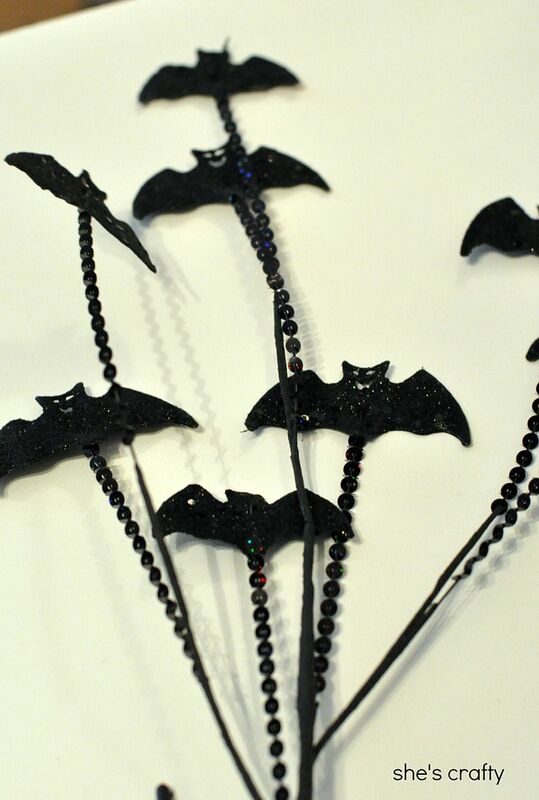 The bats are glittery and have sequins on the stems. So merry, not so spooky and quite a bit cutesy! Perfect for our home! !